Wow! The FYC Juniors need a rest as we bring July to a close! 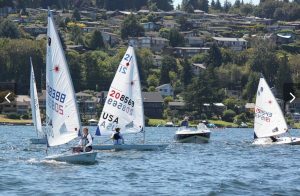 As I write this, I am in Seattle sailing in the US Sailing Jr. Women’s Singlehanded Championship on Lake Washington. What a beautiful place! This month started with Junior Olympics in Pensacola where our sailors medaled in Lasers, 420s, and Optis. The FYC junior sailors made up almost half of the participants in the regatta with 12 of our juniors on different courses. Then Sara Boyd and I headed to Bay Waveland YC where we competed in the US Sailing Jr. Women’s Doublehanded Championship and Pete McGriff headed to Lake Erie to sail in Laser Nationals. 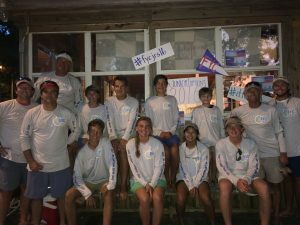 Junior Lipton’s took place the weekend of July 23 and 24th at Mobile Yacht Club. Five races were held and we finished 3rd, 3rd, 9th, 2nd, and 2nd. Our team was comprised of Samuel and Mitchell Koser, Liam Bishop, Sidney Williams, Connor Cobb, Parker French, Cruz Dabney, Kelly Long, Sara Boyd, Pete McGriff and myself. I speak on behalf of the team when I tell you that we really appreciate our members coming across the bay to cheer us on, including FHS Coach Chris Dabney, Past Commodores Steve Odom and Carl Wainwright, Vice Commodore Randy Wainwright, GYA Commodore Cathy Cromartie, Mike Metzger and many others. Thank you for supporting the Juniors — it meant a lot to us to see you on the water and at MYC. 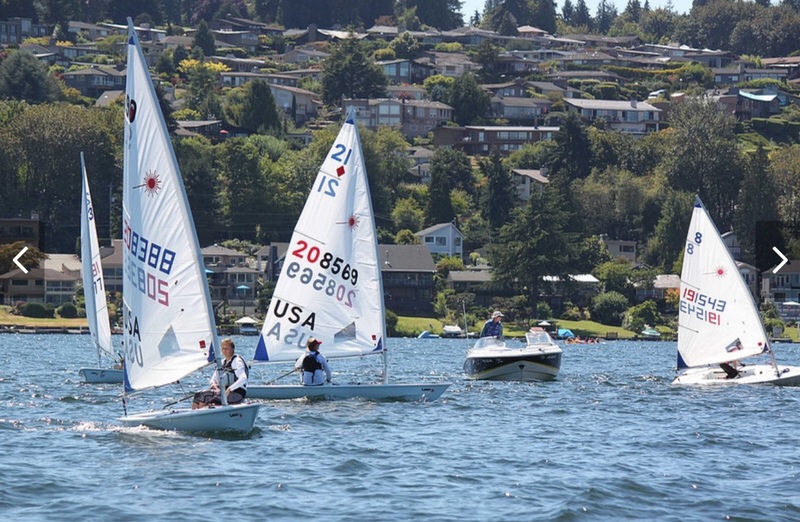 Summer Regatta took place July 16 and 17 at MYC as well. Unlike some years, we had a good breeze and were able to dodge thunderstorms. A fun time was had by all. 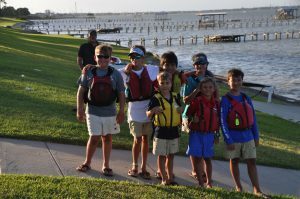 We have a large contingent of Opti sailors and parents in Texas for Texas Race week and Opti Nationals. Our Opti sailors in Texas include Chandler Taloney, Carter and Joseph Smith, Gil Hackel, Reed Carpenter, Nate Hartnell, and Joe Comer. 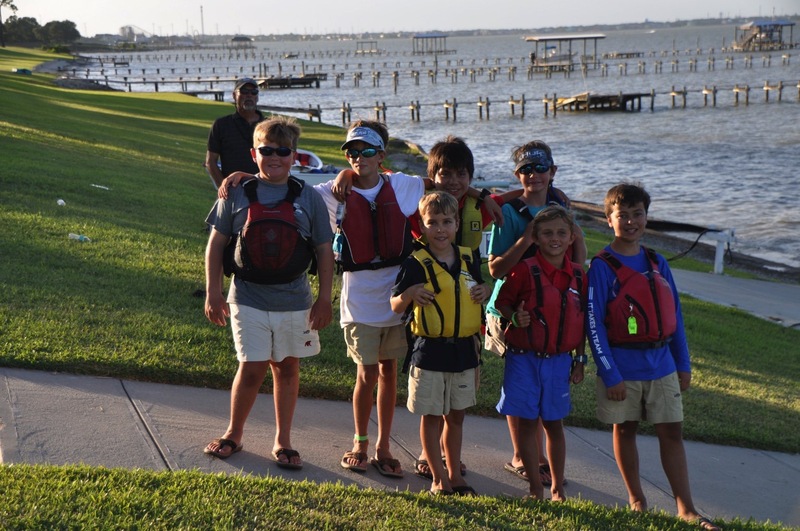 This is the largest contingent of Fairhope Opti sailors that have ever traveled to TX Race week, way to go guys! And to top it all off, as of Friday, July 29, 2016 FYC Summer Sailing camp is in the books! What an awesome camp season it was. Many thanks to my fellow counselors for all your hard work and we could not have done it without our Counselors-In-Training(CITs) Liam Bishop, Connor Cobb, Parker French, Mitchell Koser, Pete McGriff, and Aubrey Engeriser. We’re not finished with summer, and the sailing continues! In August, FYC Juniors will be all over the GYA competing at Galloway, Lipton’s, Knost, and on and on…and so it goes! See you on the water! 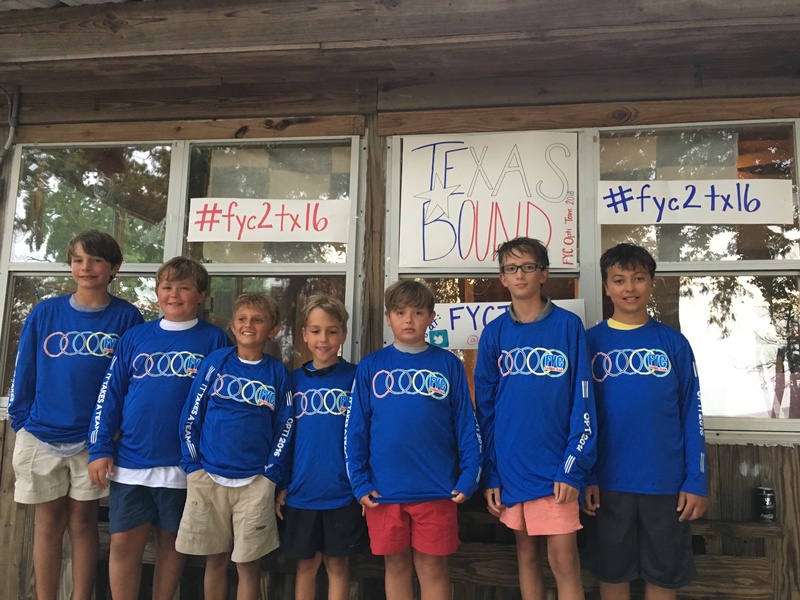 FYC Optis headed to TX race week and USODA Opti Nationals.